Kerala Chief Secretary Tom Jose has told the officials of Cochin Smart Mission Ltd to start all works on pending projects by November 10 this year after taking stock of developmental work in the city in a meeting last week. As per the smart city officials, the tender process of several projects has been started but it would take another 2-3 months before the actual work on ground could take off. To expedite the process, Jose set the deadline of November 10 for the smart city officials to complete all the formalities regarding project allocation. Top priority will be given to road projects and the housing scheme under which 400 shortlisted beneficiaries will get houses in the smart city. 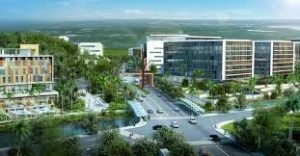 Other projects which Cochin Smart Mission Ltd will give priority to include the water supply project and hospital renovation projects, which are running behind schedule. It is the Kerala Water Authority’s water treatment plants at Aluva and Maradu that the city is getting its water supply from. But the Maradu treatment plant is generating only 40 percent of its capacity, which needs to b looked into.